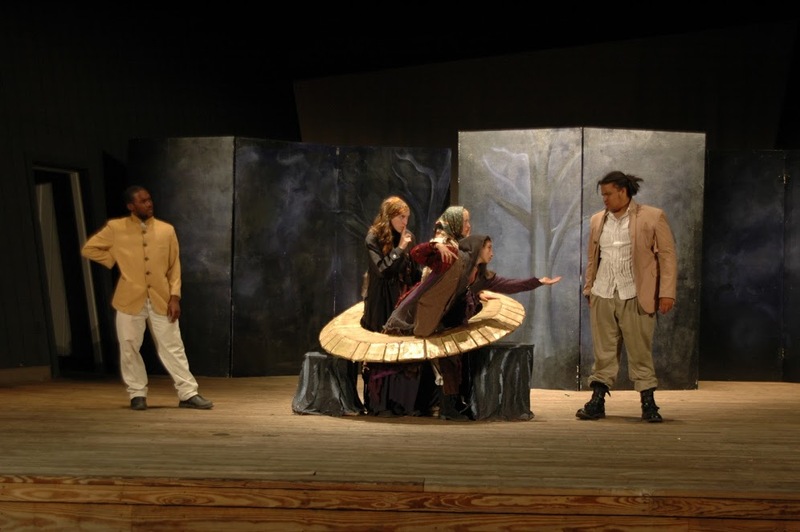 Traveling Players Ensemble is a not-for-profit theater company whose mission is to bring great theater into the great outdoors. 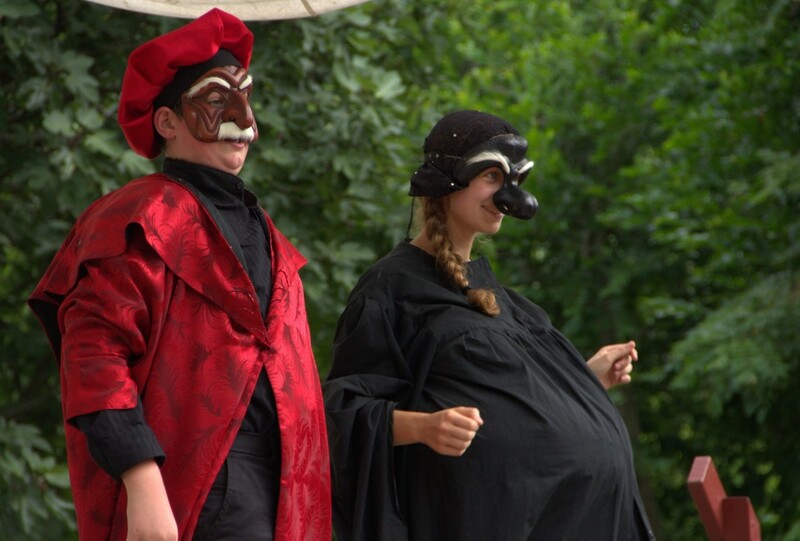 Kids from Virginia, Maryland, and DC join ensembles to learn and perform plays by Shakespeare and Moliere, Greek myths, and fairy tales retold using the Commedia dell’Arte style. 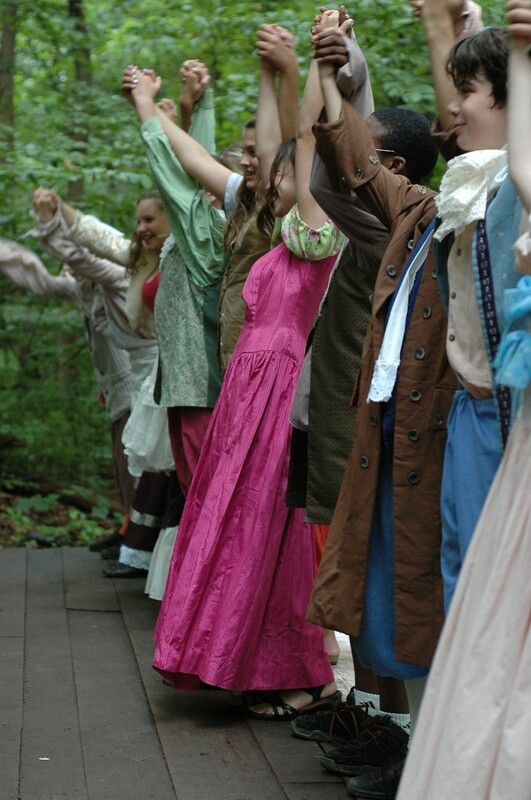 At the company’s landmark summer camp, performers in elementary through high school rehearse and perform outdoors, working with professional directors and designers. Younger players tour their productions locally, while older performers depart on multi-day tours to outdoor venues like Skyline Drive’s Skyland Amphitheater, Lime Kiln Theater, and Douthat State Park. 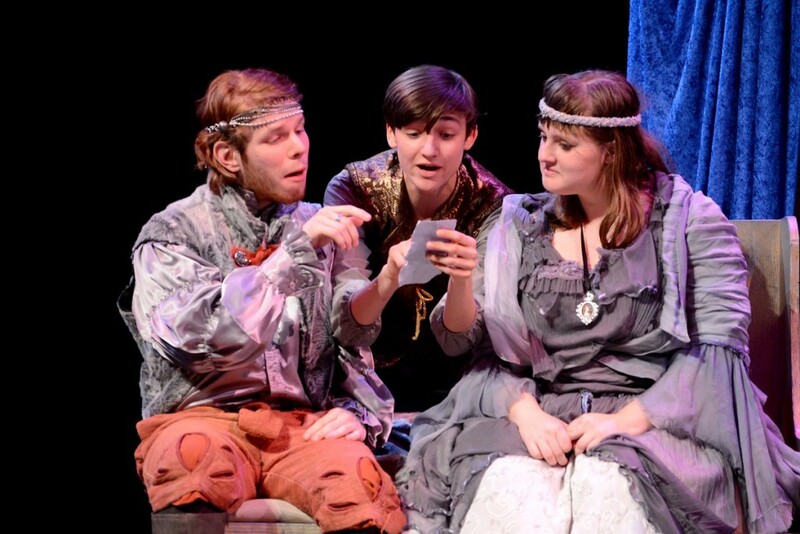 High schoolers camp out near their performance venues like traveling Renaissance artists. Traveling Players Ensemble puts the “camp” back in “summer camp.” Our no-phone policy allows performers to learn high-level language skills, teamwork, camaraderie, and problem solving skills, all while creating lifelong friendships and a deep love and stewardship of the great outdoors. Our teaching artists return yearly to help our kids create theater and watch them grow as artists and people over the summer, and then from year to year as so many campers return to Traveling Players again and again! The cold snap at the end of 2017 made for a not so happy start to the new year for Traveling Players Ensemble. Pipes froze and burst in the donated storage space housing Traveling Players’ 4,000+ costume pieces, props, and camping equipment. As temperatures rose, water rained down, saturating ceiling tiles and collapsing large portions of ceiling into the storage space. The leak soaked expensive costumes donated by the Washington Metropolitan Opera, tents used on tour, sleeping bags used by scholarship students who may not have the means to purchase them for tours, and thousands of articles of clothing used every summer and winter by TPE’s costume and prop artists to create the worlds inhabited by our performers. We may not be preparing for the arrival of the Queen and her elves, but we are a resilient community of performers, teaching artists, staff, and families. Our community responded to the flood with a brigade of volunteers who laundered and salvaged costume pieces. Alums and staff rolled up their sleeves to excavate the storage space with no heat and no bathrooms. 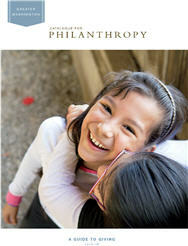 Families, alumni, and friends banded together to donate more than $6,000 in a week. We are so thankful for the outpouring of support from our community, but we need more help now and in the months to come. Know kids who would be perfect for our programs? Let them know! Enrollment is open for 2018′s summer camp. Early Bird enrollment ends on February 10th. Share information on your social media channels and on your school and community listservs. Here is a link to our summer camp signup information. Also, share this post so others can learn about Traveling Players. Want to Volunteer? Two Options! 1) Join our all volunteer Board of Directors. We are actively looking for new members to join us. Quarterly meetings and a small Board allow each member to make an impact. Please email Deborah Stein at dlsteinhome@gmail.com to learn more about Board service. 2) Volunteer your time. Enter your information here to be added to our volunteer contact list. Once we secure new storage space, we will need volunteers to move stock into its new home and to organize it. We welcome volunteers grade 7 and up. WHAT: You can see our younger performers in Winnie the Pooh & Friends. After Pooh and pals leave the Hundred Acre Woods, you can see our high schooler’s stage Euripides’ classic tragedy Trojan Women. Tickets may be purchased at the door. Girl Scouts can no longer earn a Theater Badge — unless they do it with us! Yes, we have a limited supply of “Make Your Own” Theater Patches and expert staff to get you through it in an afternoon. Spring dates are April 8, 22 and June 3. Book early as dates are limited. Moliere tells us, “the greater the obstacle, the more glory in overcoming it.” We have glory to share with any and all who respond to our call for help. Join us. All are welcome here! This entry was posted in Guest Blogger, Uncategorized and tagged Arts, Children, Community, Philanthropy, students, summer, Theater, Volunteering, Youth by Catalogue for Philanthropy. Bookmark the permalink.